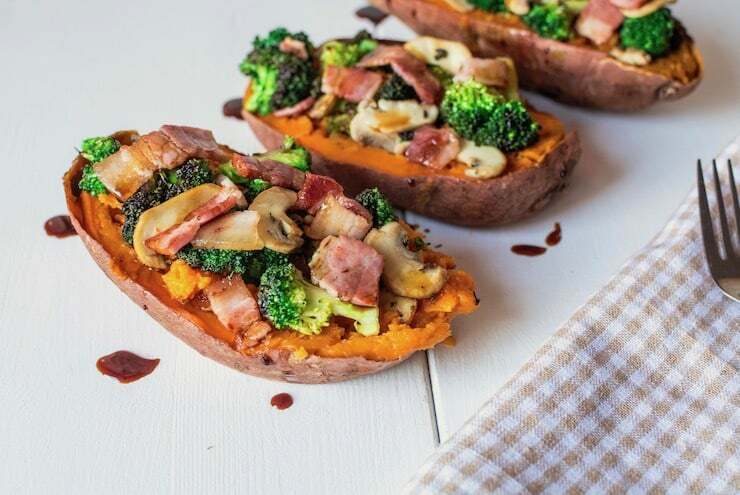 These bacon and broccoli stuffed sweet potatoes are a hearty, savory and delicious paleo dish that is sure to fill you up. I think this will make a great lunch or dinner especially during the colder months. Sweet potatoes are an extremely versatile vegetable that you can use in savory salty dishes as well as sweet recipes. I always adored the sweet-savory combination so baked stuffed sweet potatoes with a salty filling makes the perfect meal for me. Filled with good carbs, proteins and fibers, anyone can enjoy it for lunch or dinner. 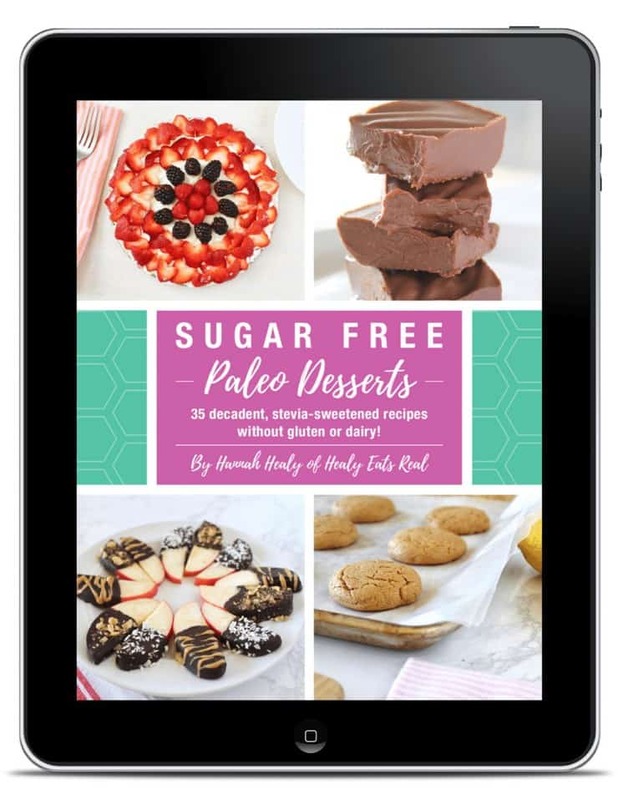 Initially, I didn’t like sweet potatoes but I’m glad I gave them one more shot because I’ve since cooked a lot of great sweet potato recipes that I’ve come to love. 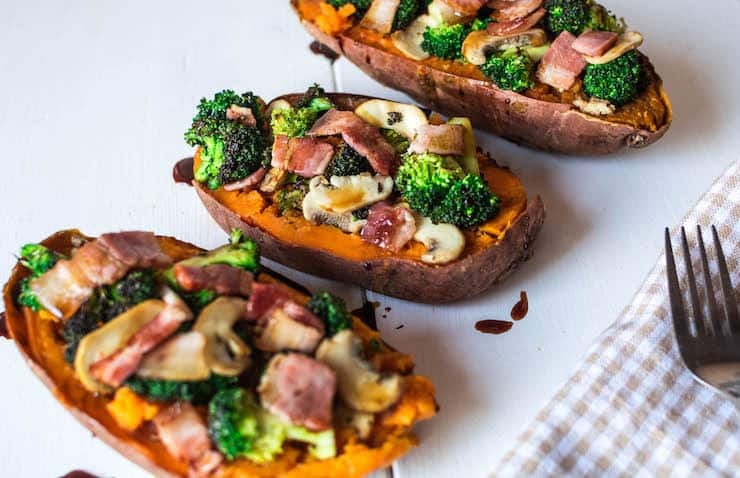 When baking sweet potatoes, their sweetness comes to life and perfectly complements the bacon flavor in a very nice way. If you want to spice them up a little bit, you can add some cayenne pepper or maybe a chili! Line a baking tray with parchment paper and bake the potatoes at 400° for 35-50 minutes until tender. Remove from the oven and let cool a little bit. Meanwhile, heat 1 tbsp olive oil in a large pan, and add the broccoli. Saute for 5 minutes, stirring frequently. Remove the pan content, and add the bacon bits. Cook until crispy and slightly brown. Add the mushroom slices and cook for 3 minutes more. While the potatoes are still warm cut them into halves, lengthwise. Use a fork to fluff the flesh, and add the butter. Stir until it melts. Top with mushroom-broccoli saute and bacon bits. While the veggies are cooking, place the balsamic vinegar together with the coconut sugar in a small pot. Simmer for 10 minutes until it thickens a bit. Drizzle over the potatoes before serving. Madalina is an experienced home chef and a professional photographer. 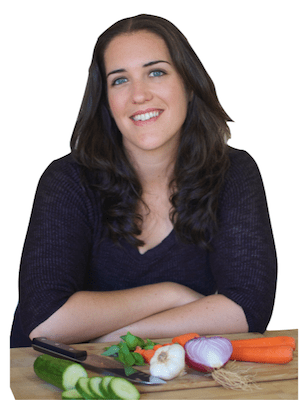 She loves to study about the impact that food has on our health and everyday levels of energy and well-being. She strongly believes that “you are what you eat” and choosing the right nutrition can change your life. Working with whole foods and various spices, Madalina creates delicious recipes for healthy active people. Now this is a sweet potato recipe I would totally eat! Bacon makes everything better! Such an easy dinner idea! Perfect for busy weeknights! This is such a quick recipe for lunch or dinner. 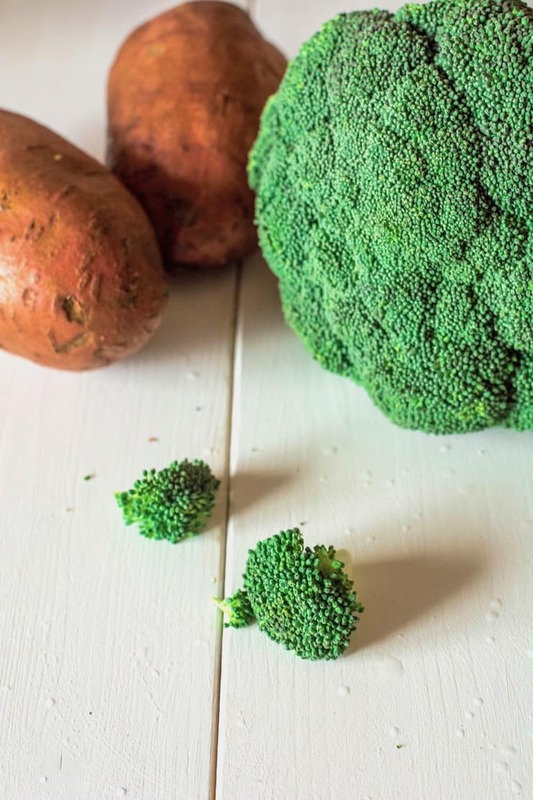 I love the combination of sweet potato & broccoli. i love stuffed sweet potatoes! So nutritious and filling! 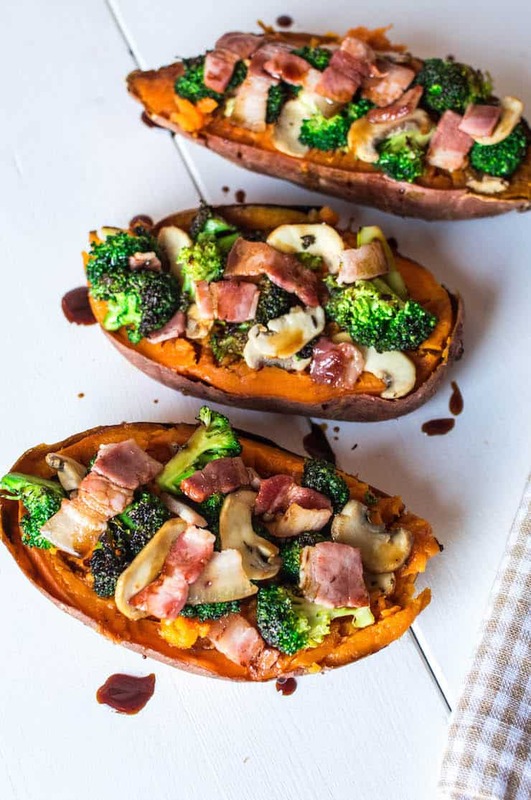 This bacon broccoli version looks amazing! 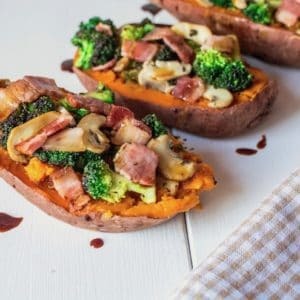 Wow, these bacon and broccoli stuffed sweet potatoes are really amazing! This is the best I’ve ever seen. This is a great idea for dinner for me and my family. I definitely want to try this, and I’m sure it’s very tasty. Thank you for sharing this great recipe. These look so tasty. A perfect meal to serve my grandkids this weekend. Thanks for sharing.